+ Imagine living amidst huge expanses of lush greenery - a third of which is exquisitely manicured lawns and landscaped. Eldeco one of India's premier real estate developers unveils their premium project Eldeco Citadel. 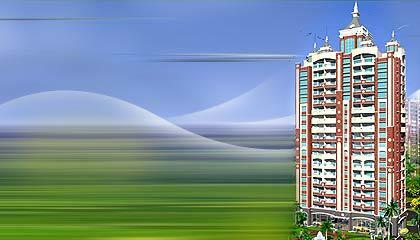 Located in Sector Pi, Greater Noida - NCR, Eldeco Citadel promises a five star living experience. Offering 3 BHK ultra luxurious apartments the property gives you an opportunity to live life the royal way. From the classic red brick tile exterior finish to the relaxing embellishments in bedrooms - everything is designed to help soothe your senses and revitalize your soul. Amenities are decidedly of an international standard at Eldeco Citadel. Imagine living amidst huge expanses of lush greenery - a third of which is exquisitely manicured lawns and landscaped gardens. Indoor swimming pool where you can have a swim anytime of the day without braving the sun. A plush lounge where you and your friends can have a blast by watching action packed movies on the Plasma screen or browse through your favorite books at the well equipped library, pump some iron at the sports gym or simply spend time soaking in the aesthetic surroundings. A unique roof top observatory with a powerful telescope takes you nearer to the stars. Offering you five star facilities like open terraces, breathtaking views, an exquisite sports lounge and much more; Citadel is the perfect place to match your luxurious lifestyle.